← Author Update on Sally’s Cafe and Bookstore! 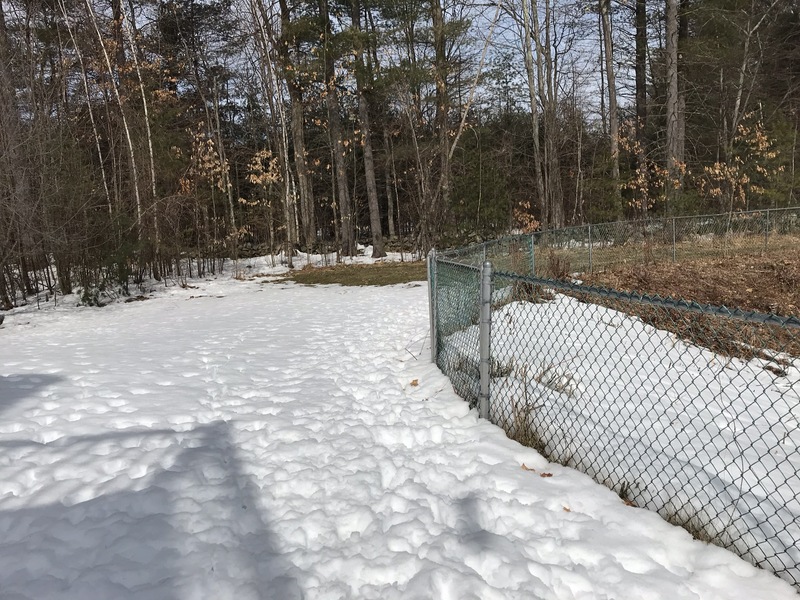 Here in the Northeast (New England) USA we still have snow that blankets our yards. It was officially spring a day ago but where is it hiding? 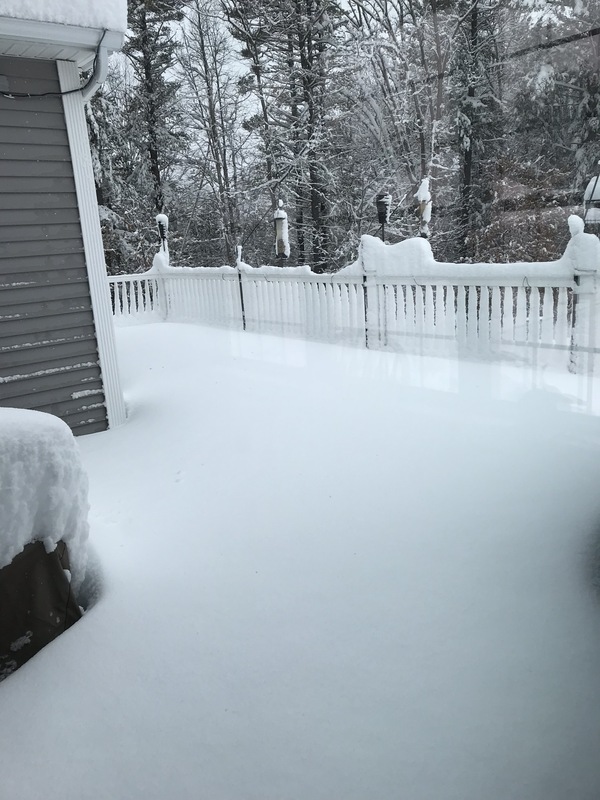 The photo above is of our deck on March 8th from the first of four snowstorms.The snow was more than half way up our railings and at the sill of our window on the deck. The photo above was just a couple of days ago on March 22nd. During the night of March 23rd we received a dusting which covered some of the bare grass that was peeking out. 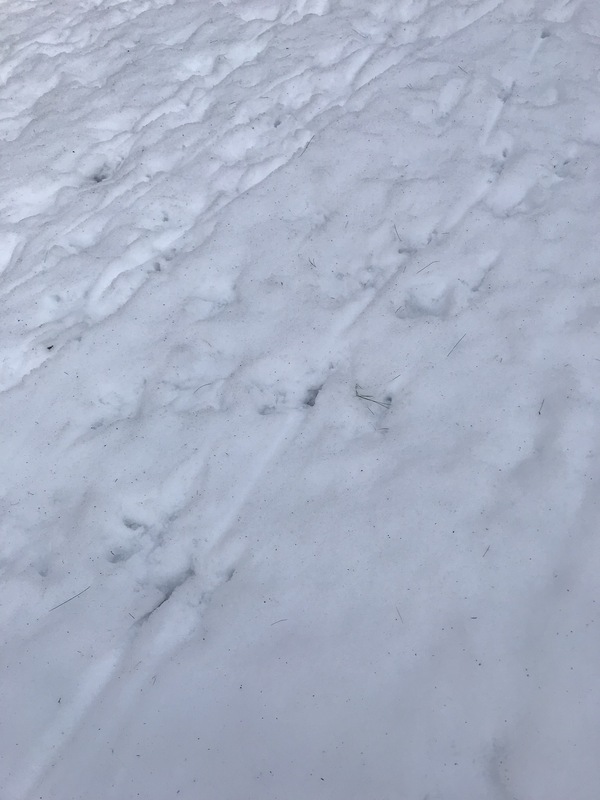 Alas, this is the end of the snow! I hope! We will appreciate all this water when the weather is in the 90’s in the summer and the wells are getting low. 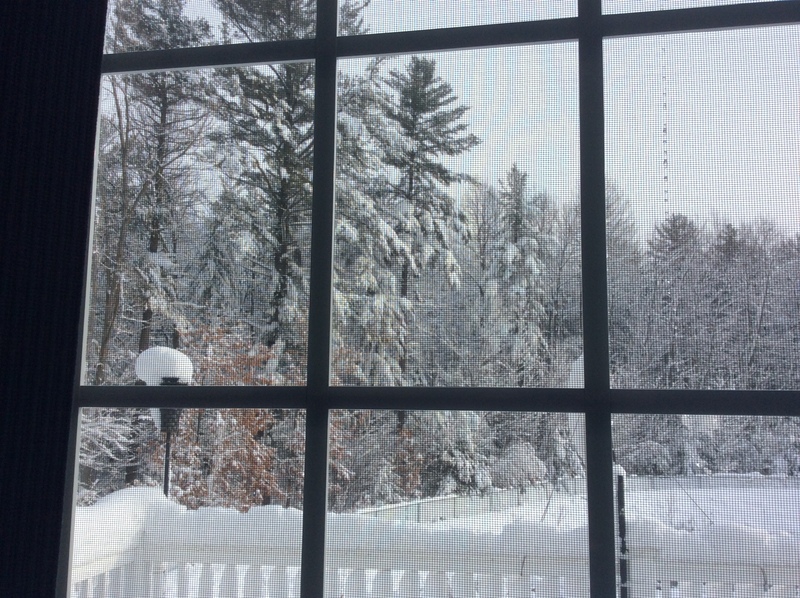 New Englanders are hearty stock and think positive when we have this much snow. It is for a reason. Sigh! I really don’t mind the snow as long as I don’t have to drive in it. I love watching it fall as I write on my blog or work on my stories. It is soothing and cathartic to my soul. Oh, I almost forgot. 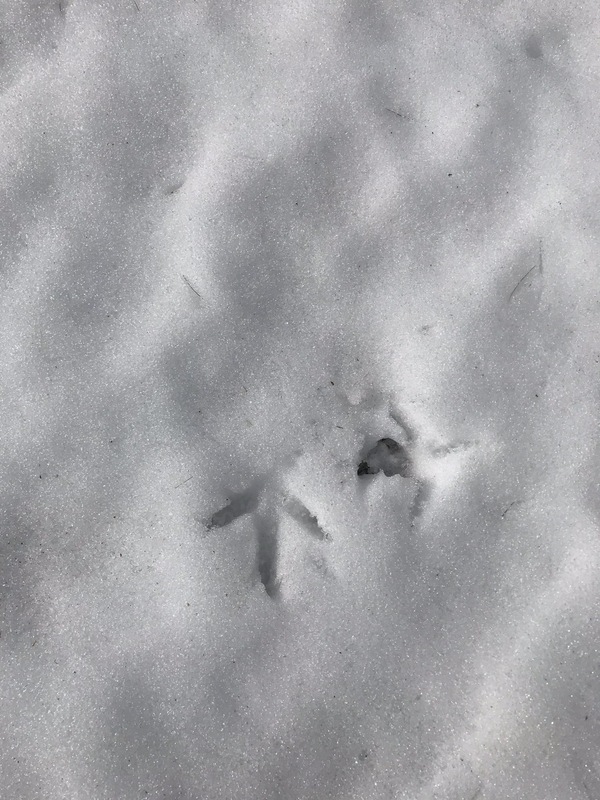 The snow is wonderful for capturing animal prints like the one above and others below. 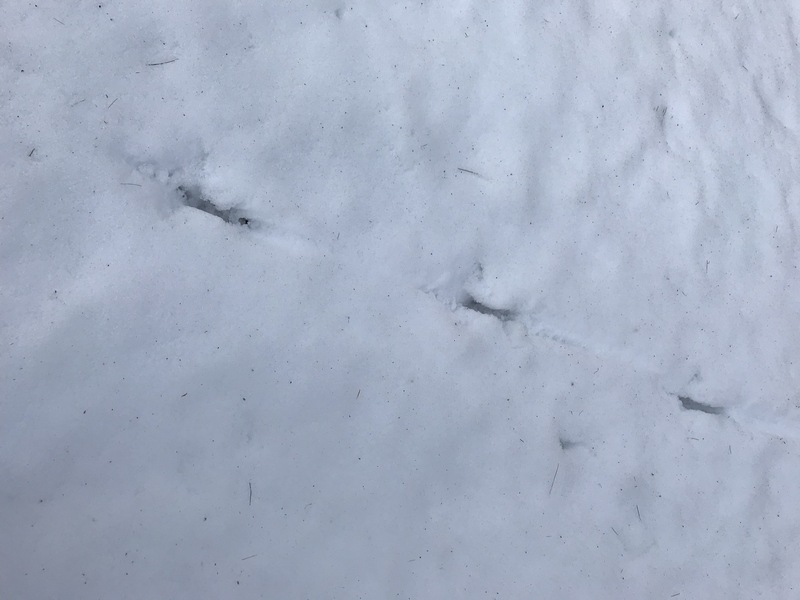 We see the footprints of dozens of turkeys, deer, rabbits, raccoons, and other creatures that I can not identify. Bear are expected to come out of hibernation soon. We may need to pull in our bird feeders. 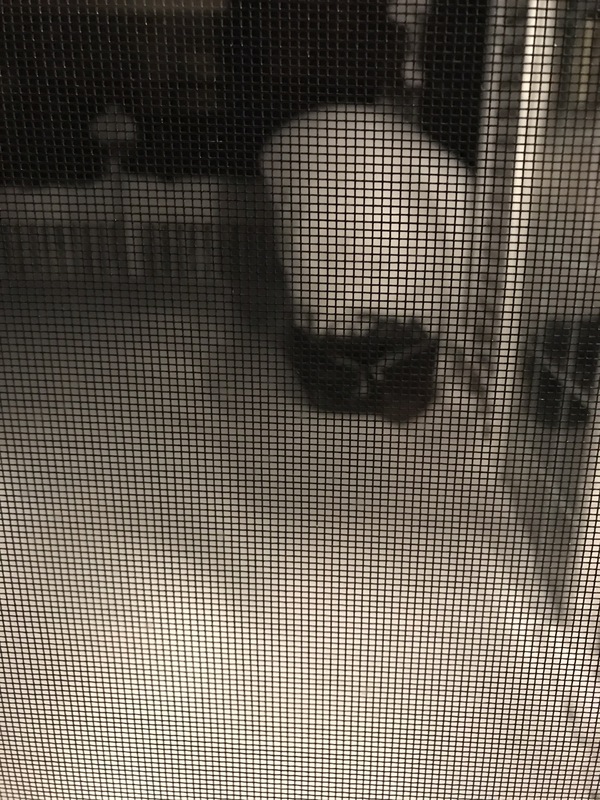 The raccoons are trying to pull the feeders down now and have left a mess on our snowy deck from all their detritus or whatever you call their doo doo. It’s always exciting to see all the traffic we have in our backyard. We have seen many deer racing around the pond looking for something to eat. Soon there will be plenty for all to eat. Having four seasons makes one appreciate the weather getting warmer in the spring and summer. Once the summer is almost over we are all looking forward to the cooler weather once again in the fall and winter. My favorite season of all is the fall. I love the changing colors of the leaves as they go from verdant green to brilliant reds, oranges and yellows – a beautiful kaleidoscope of colors that boggles the mind and delights the eye and permeates the soul. The air is clear and crisp and is perfect for a brisk walk as I enjoy the beauty around me. It makes me feel alive as joy bubbles up in my heart. After this long winter I am looking forward to the spring and summer – warmer weather, cooking on our deck, family get-to-gathers, friends stopping by to sit on the deck with a drink and appetizers for a chat. I hope wherever you live that you have a beautiful day! Stay safe and warm! Thank you for stopping by and for your continued support. REMEMBER: READING GIVES YOU WINGS TO FLY! SOAR WITH JEMSBOOKS.COM! Happy Reading! Please check out all the new books from Jemsbooks on Amazon, Barnes & Noble, purchase links are on covers here to the right, and on my website – Jemsbooks.com! This entry was posted in autumn, Books for all ages, fall beauty, Jemsbooks for all ages, Reading, snowstorm, spring, Writing, book reviews and publishing, poetry, children's books, YA and novels and tagged blogging, children's books, fall in New England, Jemsbooks for all ages, Reading, snow, springtime, winter. Bookmark the permalink. 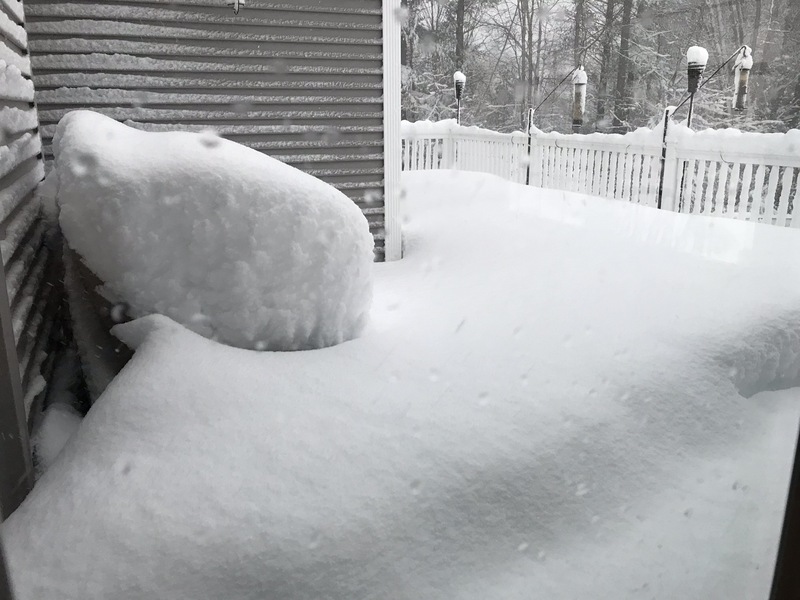 16 Responses to Where’s SPRING? Been keeping track of the snow woe in the NE, Janice. I have lots of friends who still live there! 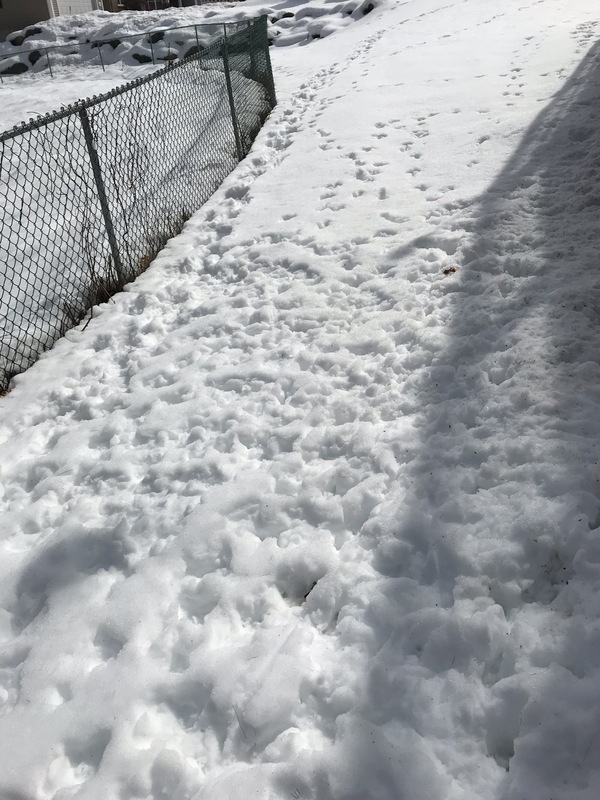 We get a dusting or a little more from the tail of whatever dumps on you – melts the next day but creates havoc with the schools since the bus drivers will NOT drive if even a flake is in evidence! In central Portugal the temps are mild and we have had a lot of much needed rain but in the UK where I hail from more snow is forecast for Easter! Everyone is looking forward to spring! Come down a little further south some time, to the beautiful Alentejo! And I hope you enjoy your trip here this year. With family to visit too it is the ideal holiday destination. Where is the Spring – great title – wonderful question…In San Diego, Coronado Island we have our magical spring, looks like to listen to violin!! 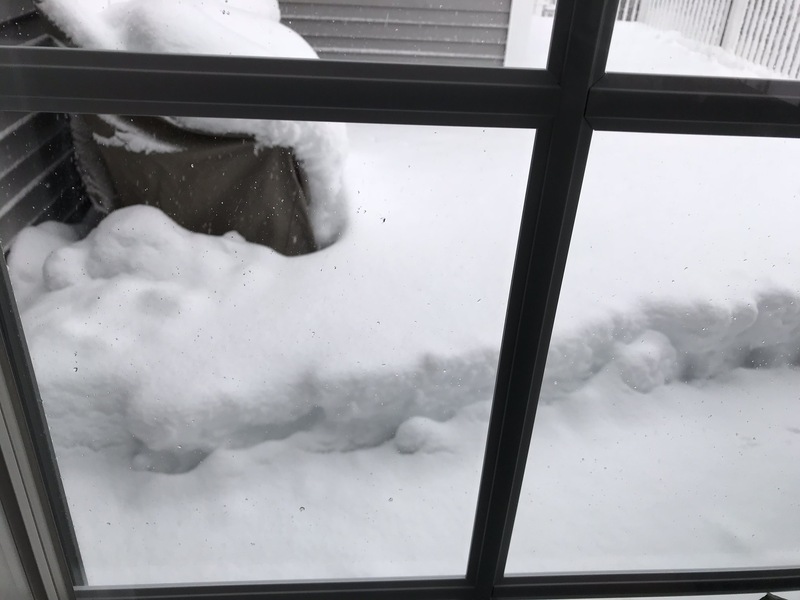 We have family in Boston and they are through with snow. 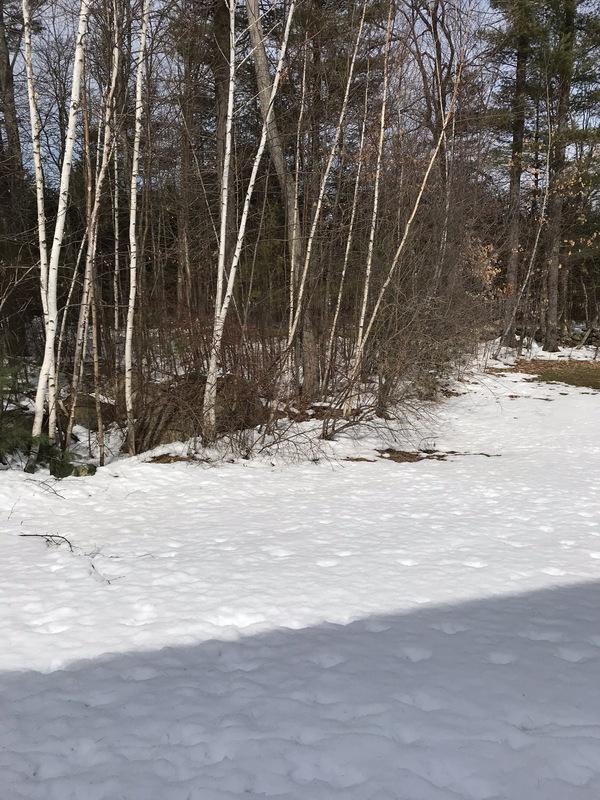 We’ve had snow here this week, but with the warmer daytime temps, it melts the next day. I’m beginning to wonder if it’s ever going to get here, Janice. I look outside, and it looks so pretty, but you’ll freeze if you don’t wear your winter coat! Crazy weather. I love snow, and am one of the few people who’s happy about all the snow the UK got this year. It’s been warmer the past several days though, so Spring might have decided to arrive here now. I have things I love about all four seasons, but probably like Winter best, because snow happens, and because I’d rather be too cold than too hot.